Maintaining a constant temperature in your aquarium creates an environment where your livestock can thrive. 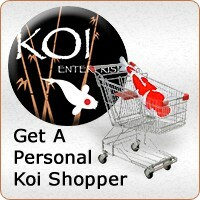 Too much temperature fluctuation can be very harmful to your aquariums eco-system. When temperatures drop below recommended, the heater must maintain the water temerature required in your fresh or salt water eco-systems. 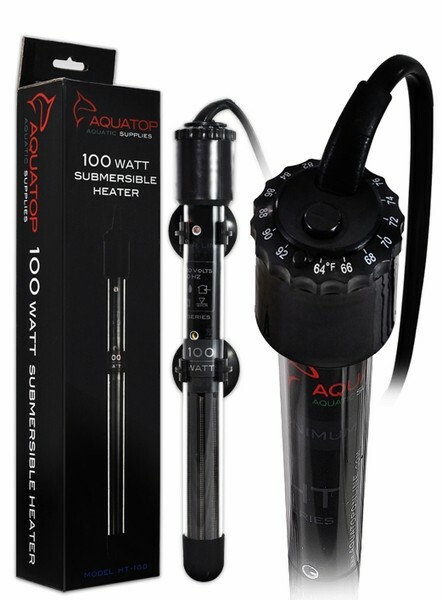 Model HT-100 100 Watt waterproof fully submersible aquarium heater is perfect for aquariums up to 50 gallons. The temperature is adjustable from 65* F and 93*F using the easy to adjust thermostat. Built with high impact safety glass and waterproof insulation. The design is compact and is only 9.8 inches long. 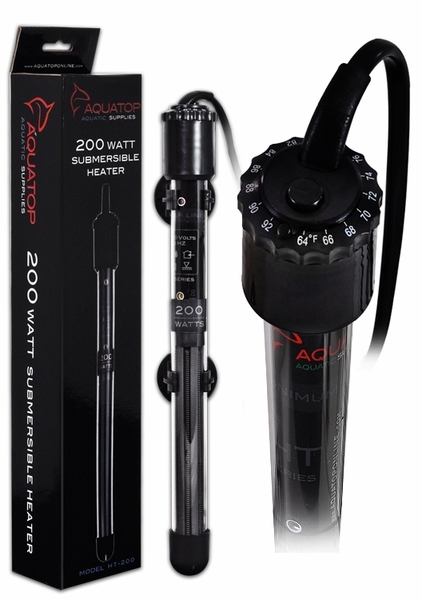 Model HT-200 200 Watt waterproof fully submersible aquarium heater is perfect for 40-120 gallon aquariums. The temperature is adjustable from 65* F and 93*F using the easy to adjust thermostat. Built with high impact safety glass and waterproof insulation. The design is compact and is only 11.4 inches long. 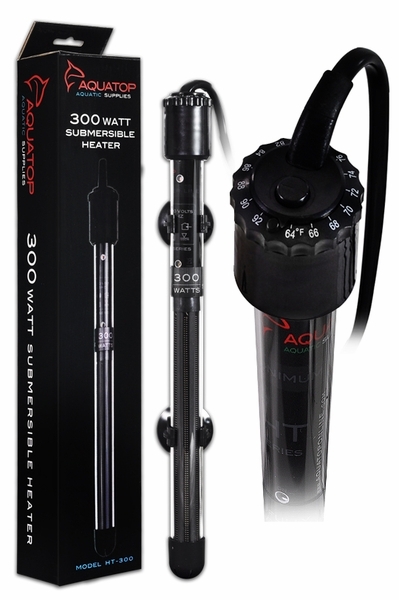 Model HT-300 300 Watt waterproof fully submersible aquarium heater is perfect for aquariums up to 180 gallons. The temperature is adjustable from 65* F and 93*F using the easy to adjust thermostat. Built with high impact safety glass and waterproof insulation. The design is compact and is only 12 inches long.